This finely crafted automatic coal stove can be just what you’re looking for to cut you high energy bills. Designed as a great little supplemental heating source, the Lil’ Heater I will take the chill off any winter morning. 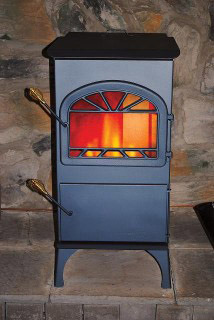 Built with the strict codes of the Leisure Line Stoves, this smaller size stove costs less and yet puts out 70,000 BTU. With it’s elegant legs and effective 265 CFM blower this stove is rated as on of the most cost-effective stokers being built today.